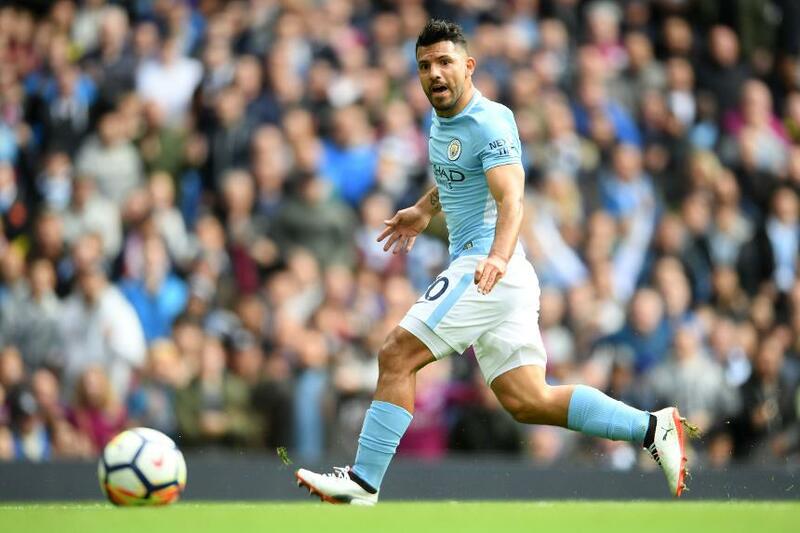 Sergio Aguero set a Premier League record and homed in on another when he scored the opening goal in Manchester City's 5-0 win over Liverpool. His strike in the 24th minute means he has scored in six consecutive Premier League home matches against the Reds. He is only the fourth player to do so against a single opponent, after Alan Shearer v Everton, Thierry Henry v Aston Villa and Jimmy Floyd Hasselbaink v West Ham United. No-one has ever scored in seven in a row. But Aguero is in a league of his own when it comes to Premier League goalscorers from outside Europe. The Argentinian is now the all-time leading non-European scorer in the competition's history, having overtaken former Manchester United striker Dwight Yorke's total of 123. In fact, he is one of only three players not from Europe to reach a century of goals. Aguero's 124 goals in 185 appearances place him 15th in the overall rankings, one behind Nicolas Anelka and two shy of Robbie Keane. And very proud to have become the top non-EU goalscorer in the PL. My thanks go to the club and teammates for making it possible!